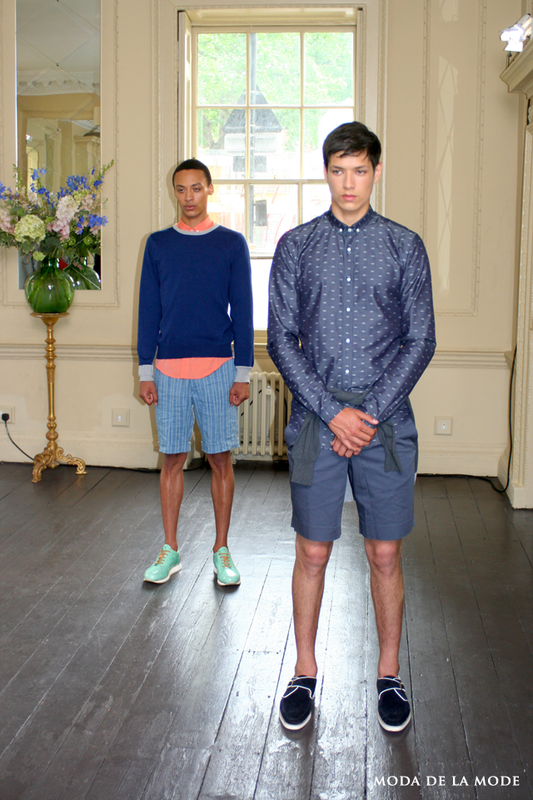 Held in the majestic setting of House of St Barnabas in Soho, Mr Start and Mr Hare collaborated together, showcasing their Spring Summer 2014 collections which were bursting with life and colour. 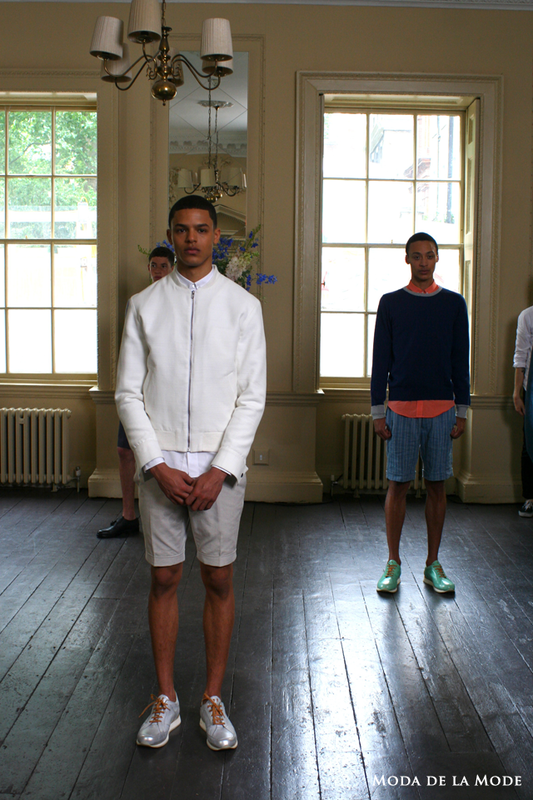 Mr Start began the showcase with a seven look collection that fitted in with the 'smart casual' dresscode we stress over on a daily basis. It is safe to say, we need not stress any more. 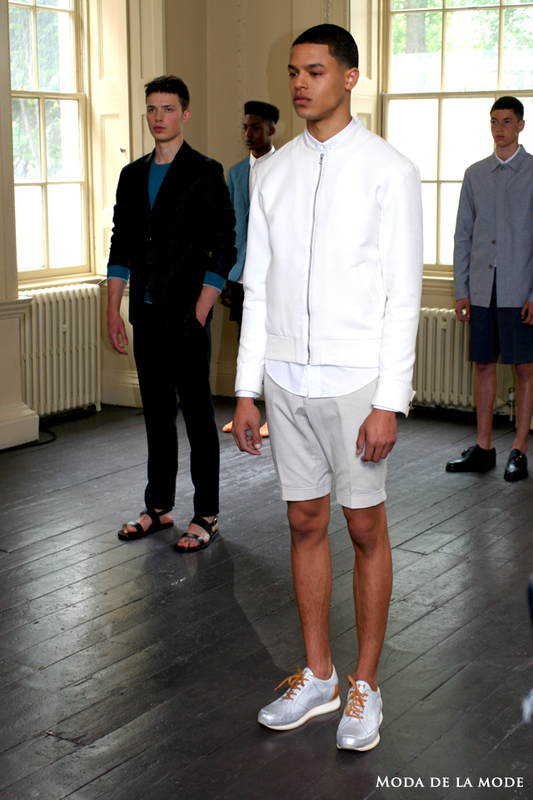 Mr Start has perfected the art of this tricky dress code with their collection which mixes suits and sandals and shirts and trainers. 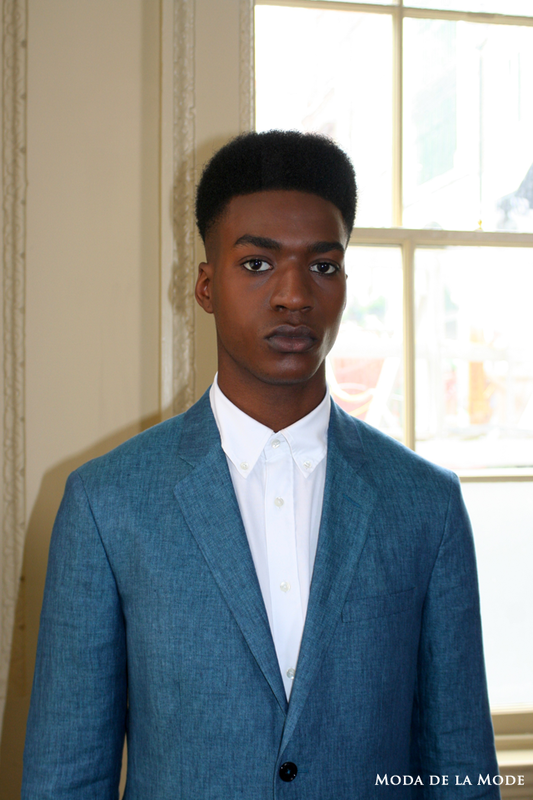 Peach coloured shirts are paired with navy sweaters whilst plain white shirts are paired with denim blazers. The juxtaposition of smart and casual gives the collection a wide appeal and allows each garment to be worn in a variety of situations. 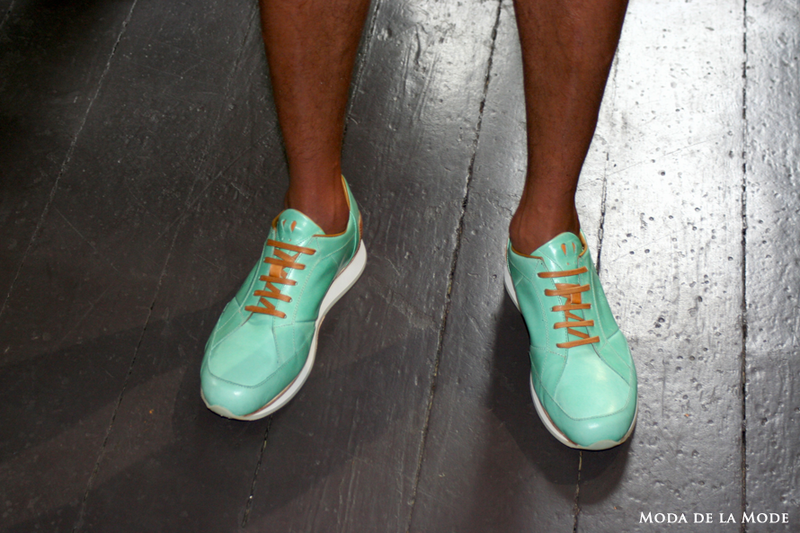 Mr Hare also balanced smart and casual with their line of summer shoes. 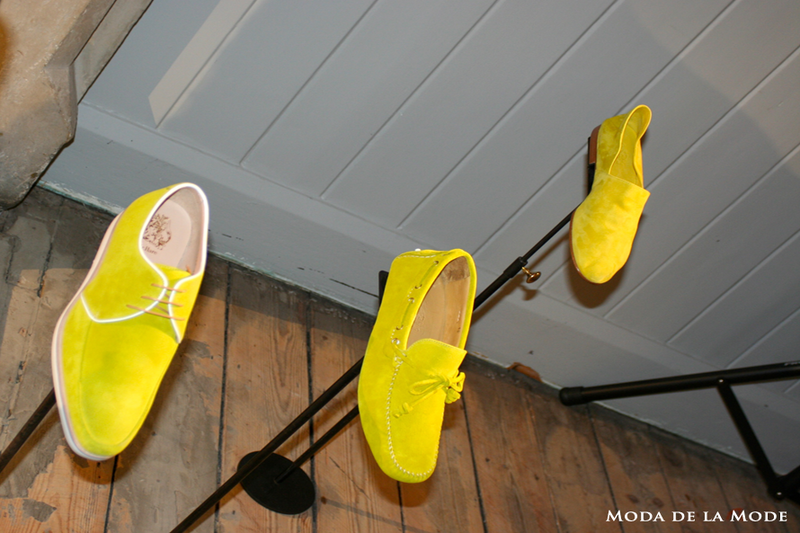 Eye popping yellows and zesty greens were the colour of choice for the collection which featured a range of loafers, brogues and slip on flats. 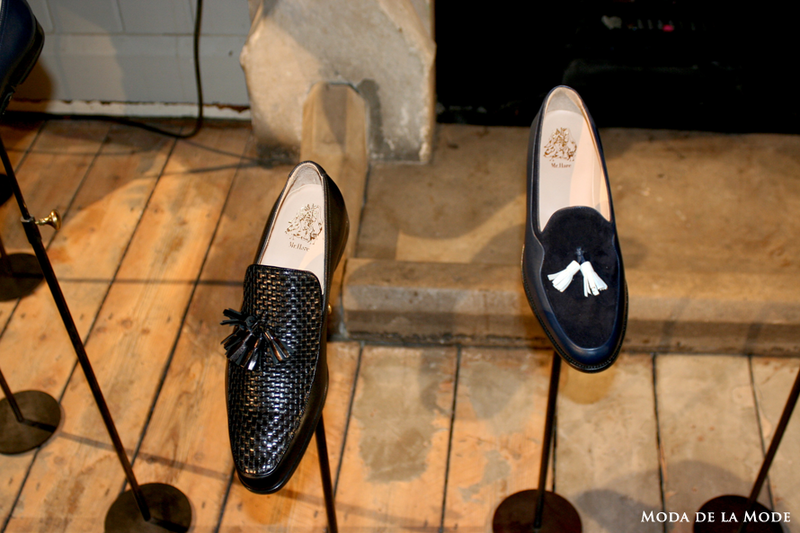 For the more classic man, there was a wider variety of shoes made from tan leather on show which means only one thing. Time to dig out the chino trousers.